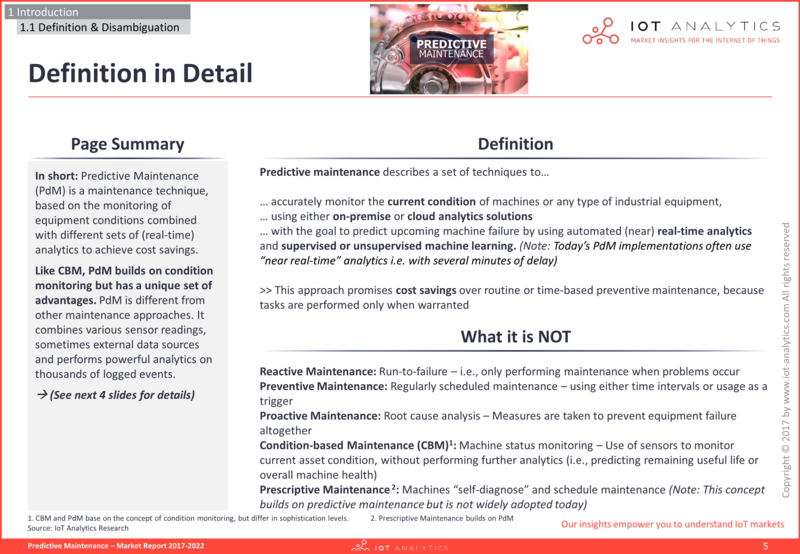 Predictive Maintenance is emerging as the core Industrial IoT use case. Read the corresponding press release HERE. 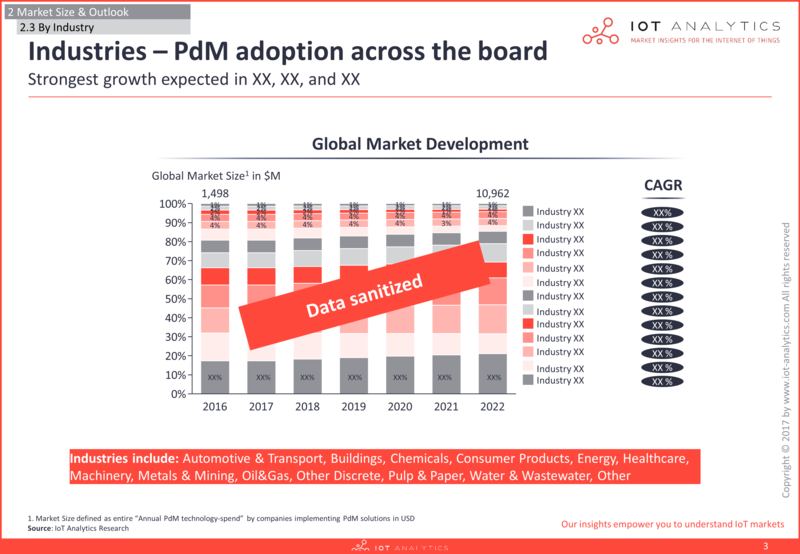 The emerging market for Predictive Maintenance shows increasing growth as maintenance strategies move from what has been known as Condition-based Maintenance to Analytics- and IoT-enabled Predictive Maintenance. 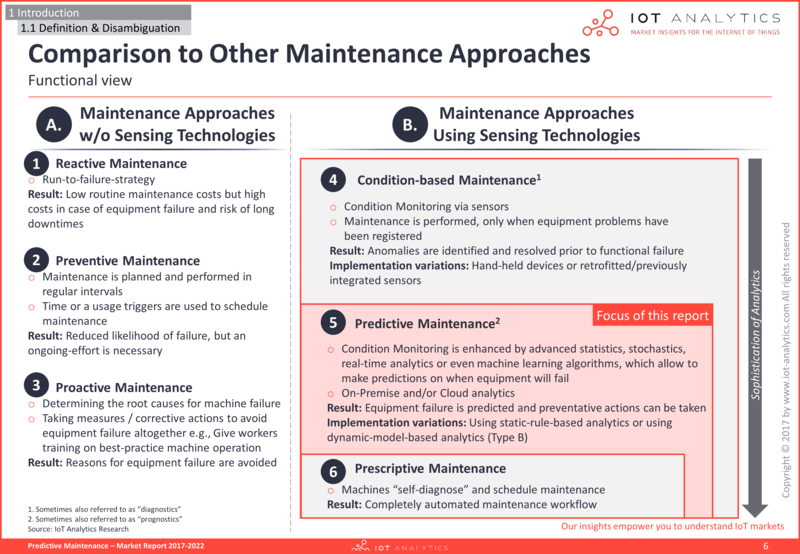 The transition toward Predictive Maintenance is mostly driven by new IoT platforms, low-cost secure cloud storage as well as analytics vendors that offer dynamic data models play. 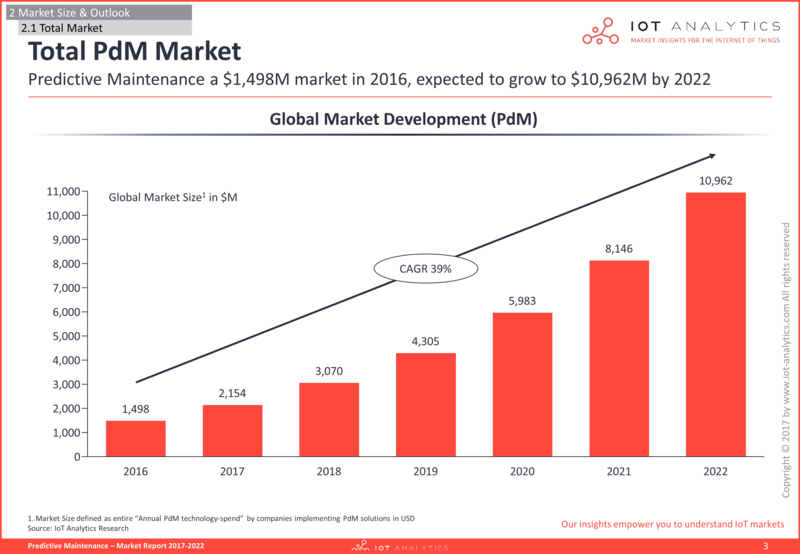 This report outlines the $10.96B Predictive Maintenance market by segment. 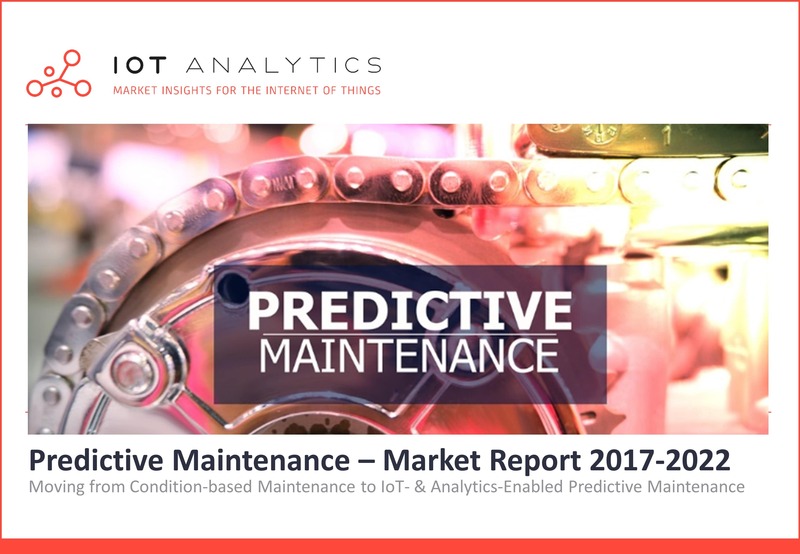 It examines current and expected spending for Predictive Maintenance solutions in greater detail across 13 vertical-industry segments and 7 technology areas. 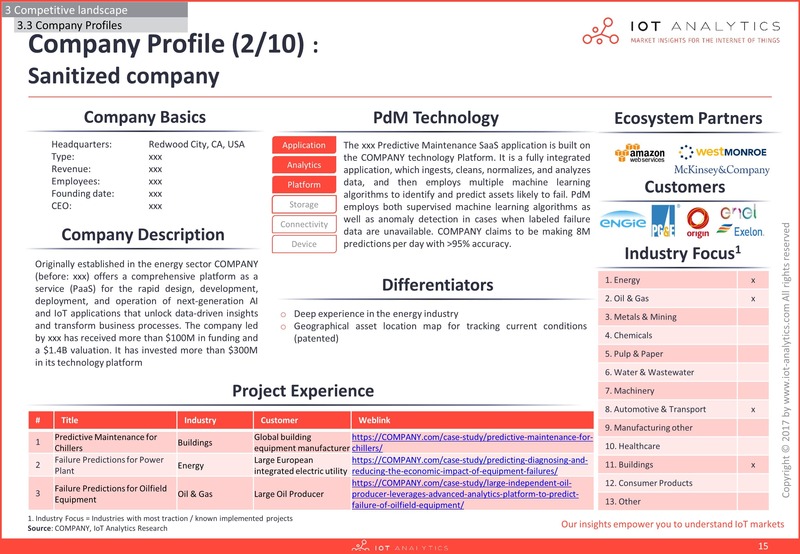 To better understand the market players 10 of the top Predictive Maintenance providers are profiled and a List of 100+ companies in the field is included. 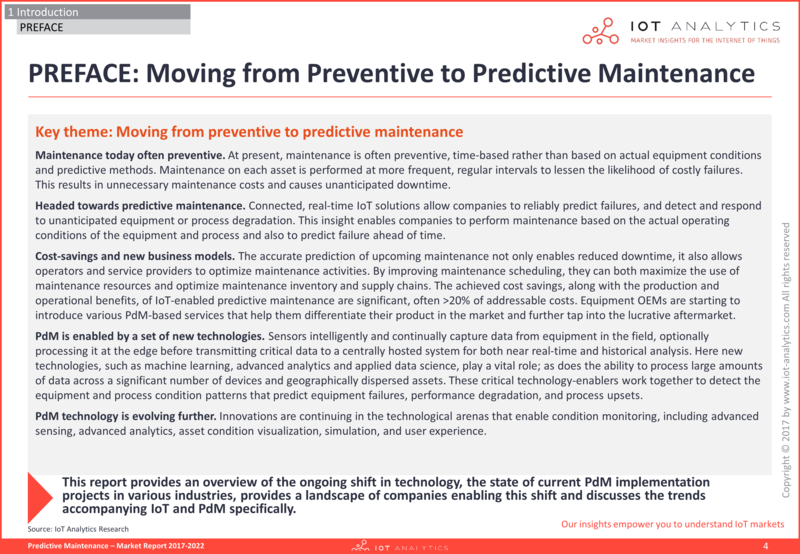 The study also describes the top 6 trends and main challenges affecting Predictive Maintenance. 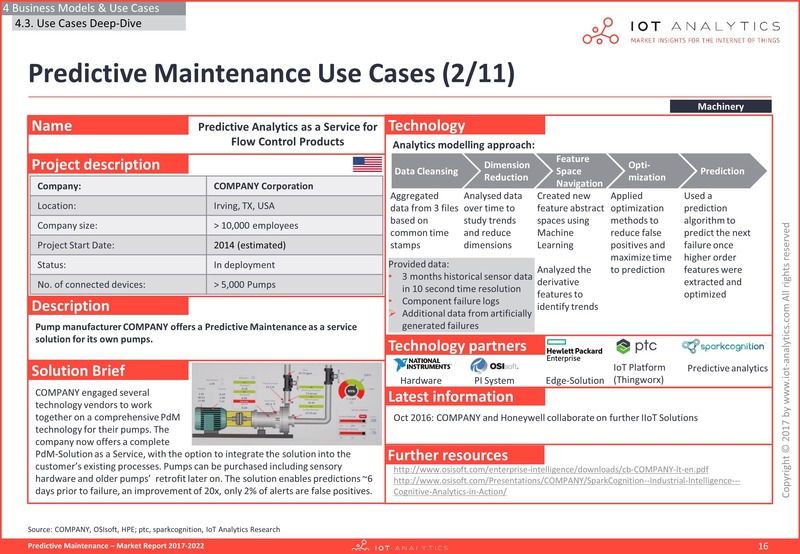 The report presents 47 use cases and provides a deep-dive into 11 specific examples of Predictive Maintenance currently in the market. 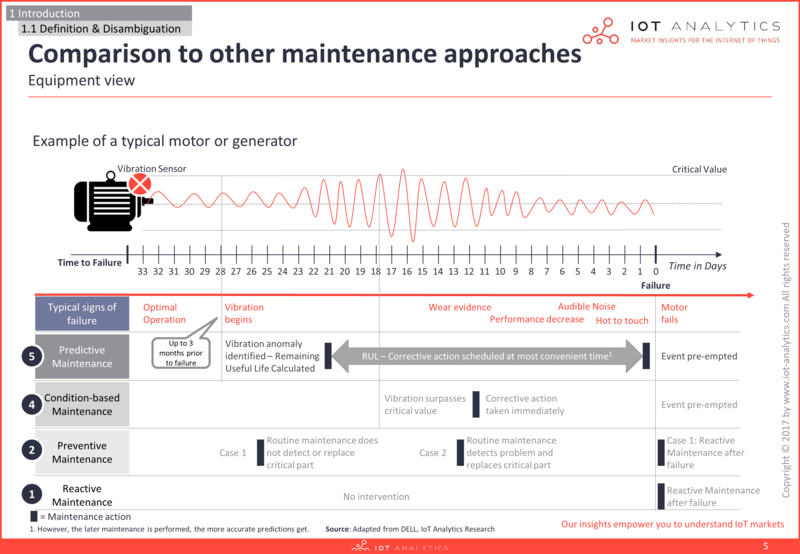 Comparison to other maintenance approaches are outlined to highlight the benefits of connected Predictive Maintenance solutions, focussing especially on the differences between Condition-based Maintenance and Predictive Maintenance. 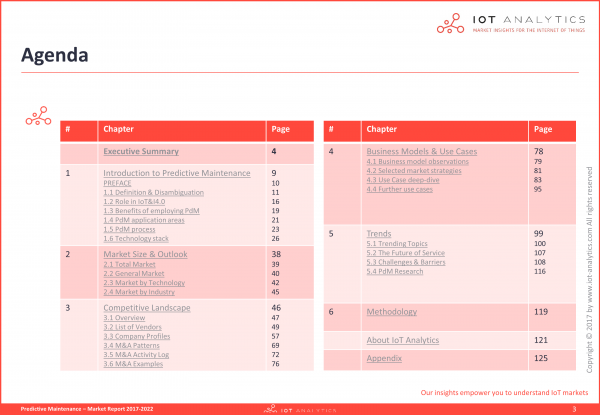 The terms and conditions of the different plans can be found HERE.